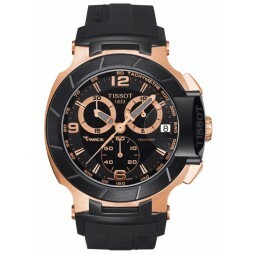 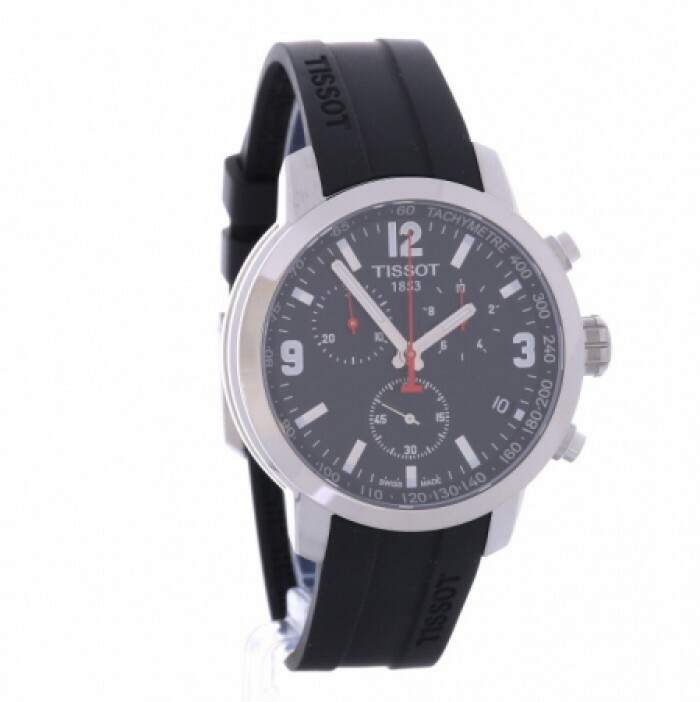 The Tissot T-Touch watch is built for everyday use and comfort. 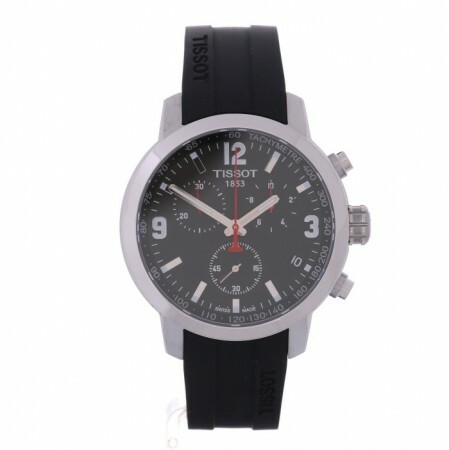 The rubber strap is attached to a stainless steel case. 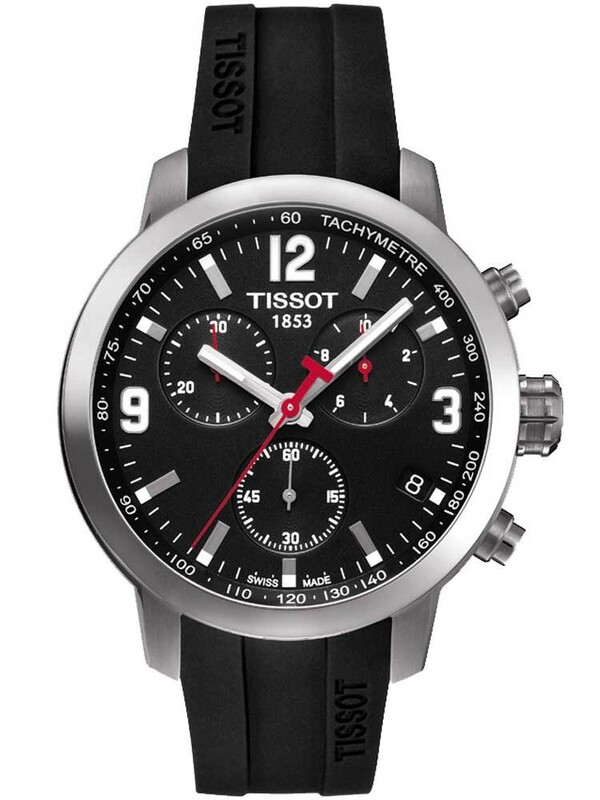 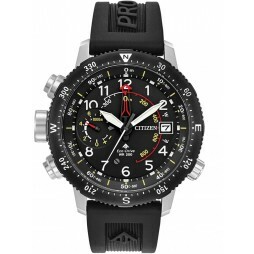 The black multiple dial features a date and chronograph function.